Textiles Export Promotion Council (Texprocil) Awards. 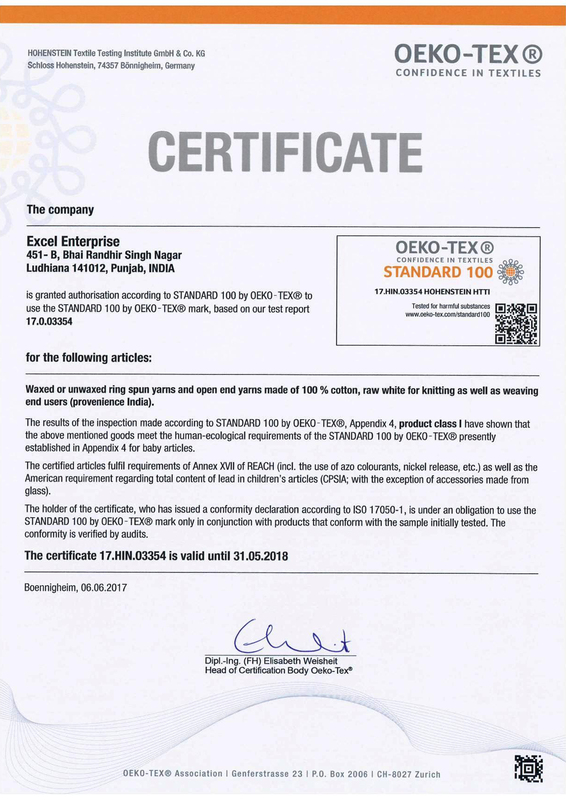 Gold Plaque for the Highest Exports of Cotton Yarn in “Count 50s & below” under Category-1. 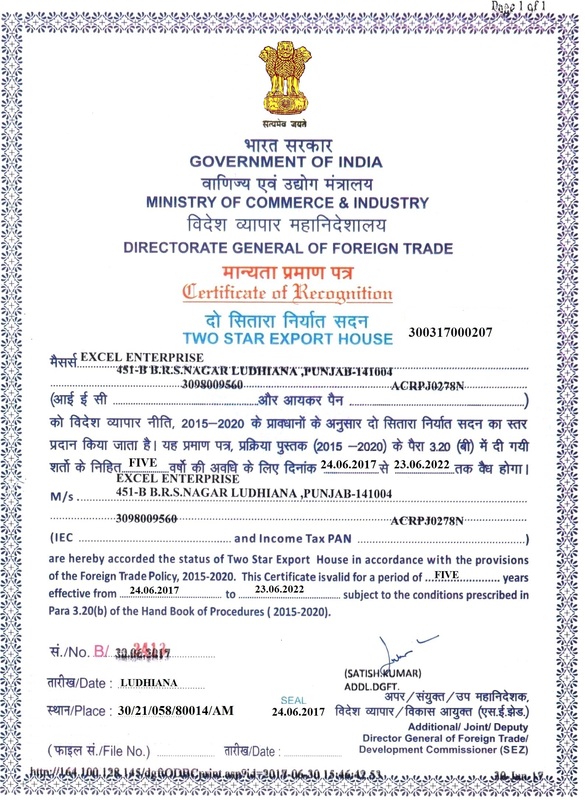 Star Export House Recognised by Government of India.